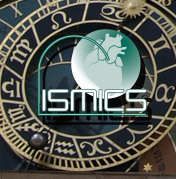 ISMICS - Can the Learning Curve of Totally Endoscopic Robotic Mitral Valve Repair be Short-Circuited? Can the Learning Curve of Totally Endoscopic Robotic Mitral Valve Repair be Short-Circuited? David W. Yaffee, Didier F. Loulmet, Lauren Kelly, Alison F. Ward, Patricia A. Ursomanno, Annette Rabinovich, Krishnan Sandeep, Frederick T. Hill, Eugene A. Grossi. A concern with the initiation of totally endoscopic robotic mitral valve repair (TERMR) programs has been the significance and associated risk of the learning curve. In an attempt to minimize this risk we initiated a TERMR program with a defined team and structured learning approach prior to clinical implementation. A dedicated team (two surgeons, one cardiac anesthesiologist, one perfusionist, two nurses) was trained with clinical scenarios, training simulations, wet lab courses, and direct ‘expert’ observation for 3 months. This team then performed a series of TERMRs of varying complexity using retrograde arterial perfusion and endoaortic balloon occlusion. All knot tying was performed with a knot-pusher except for annuloplasty device sutures which were crimp terminated. Thirty-two isolated TERMRs were performed during the first year. Mean age was 56±13 years. All procedures included mitral valve repair, left atrial appendage exclusion, and annuloplasty device implantation. Additional procedures included: leaflet resection (n=15), neochordae insertion (n=10; range 2-6/patient), ablation (n=3), and papillary muscle shortening (n=5). Mean procedural times are listed in the Table. Multivariate regression demonstrated that longer clamp times were associated with leaflet resection (p=0.06), number of neochordae (p=0.001), and papillary muscle procedures (p=0.001). Sequential case number had no impact on cross clamp time (p=0.25). Logarithmic analysis of total operative time demonstrated an 18.7% learning percentage (p=0.002) (i.e. 18.7% reduction in operative time with each doubling of case number). There were no hospital deaths. There were no postoperative incidences of stroke, myocardial infarction, reoperation for bleeding, respiratory failure, renal failure, or unplanned reoperations. Median length of stay was 4 days and all patients were discharged home. TERMR can be safely performed without increased risk to patients by using a pre-training regimen with emphasis on experts’ current practice and team training. Cross-clamp times were not subject to learning curve phenomena but were dependent on procedural complexity. Following the pre-training regimen, total operative times are associated with a high learning percentage and therefore a short learning curve.